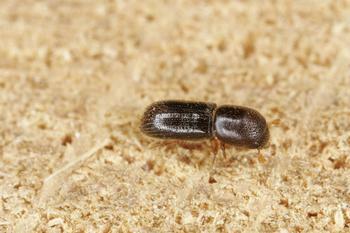 The first step to managing ISHB is identifying the insect. 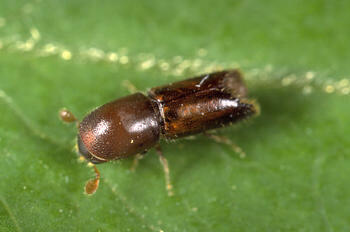 Unfortunately, many other pests and diseases cause similar symptoms on the same host trees. 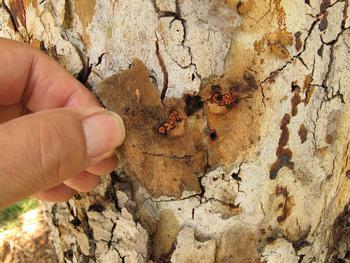 For example, dark staining is frequently reported on Tipu tree (Tipuana tipu), but it is rarely positive for ISHB because an entry-hole is often absent. 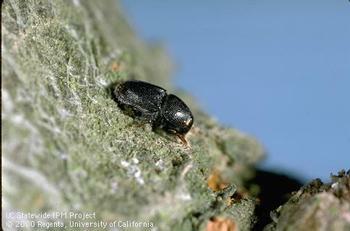 Note: The beetle is native to California and typically attacks stressed or dying oaks; some of the beetles vector the Foamy bark canker disease, which was discovered relatively recently. 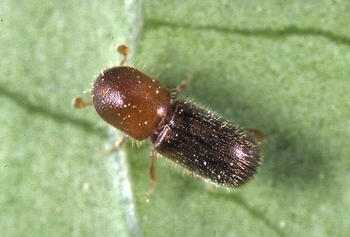 See the UC ANR pest alert for more information. 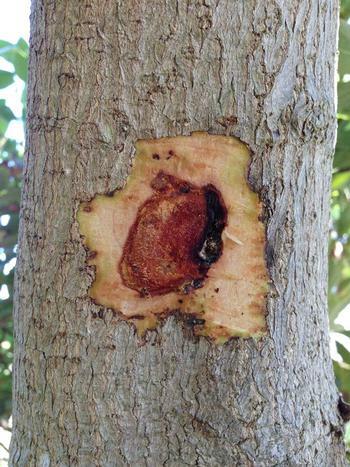 Many trees respond to PSHB attacks the same way that they react to other kinds of damage: by producing staining, gumming, or exudate. 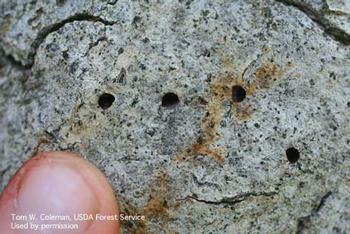 Be aware of any recent management activity on the suspected tree, and look for entry-holes of the typical PSHB size and shape to avoid a misidentification of tree symptoms.